My dear friend Zara Potts, a former journalist, was in the middle of things when the recent earthquake struck her home town of Christchurch and environs. 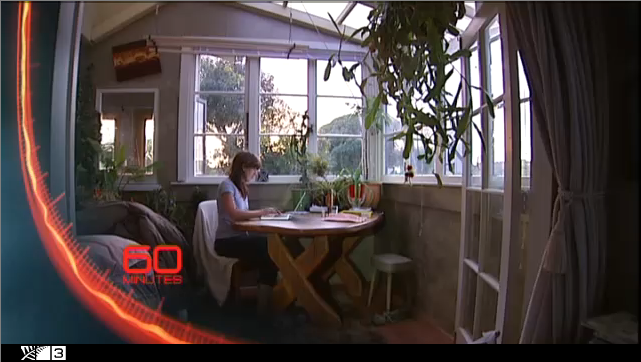 Her TNB essay "Earthquake" has attracted notice worldwide, and especially in New Zealand, and provided the foundation of a segment on New Zealand's version of 60 Minutes. With all the stories of brave rescuers and the like, Zara demonstrates a different sort of bravery in frankly admitting how the earthquake shattered her nerves, and how terrified she was in response. As such, she has given voice to the thousands of people who shared that normal human reaction. When the very ground under you becomes a jelly and everything you've known for sanctuary crumbles around you, it's OK to panic. It's OK to want to run. It's OK to be at your wit's end. Zara puts that message across very humbly, very personably, and thus very effectively. Zara's segment starts 20:35 into the video, but I recommend watching the whole thing for some compelling portraits of the people affected. One scene I found particularly affecting was the funeral of one of the victims conducted with a blend of Māori and European traditions. In the show several people expressed doubts that Christchurch might ever again be the same, which again is perfectly natural with the wounds so recent, so raw; but the program did end with an encouraging message from San Francisco, a city which has suffered more than her share of seismic disater. Kia kaha Christchurch. Bless you, Uche. And much aroha to you and your family from all of us here in Christchurch.